My daughter and son-in-law are expecting our first granddaughter. The photo for their birth announcement was taken in front of the Eiffle Tower in Paris, so I thought it fitting to have the Eiffle Tower on the baby shower invitation. 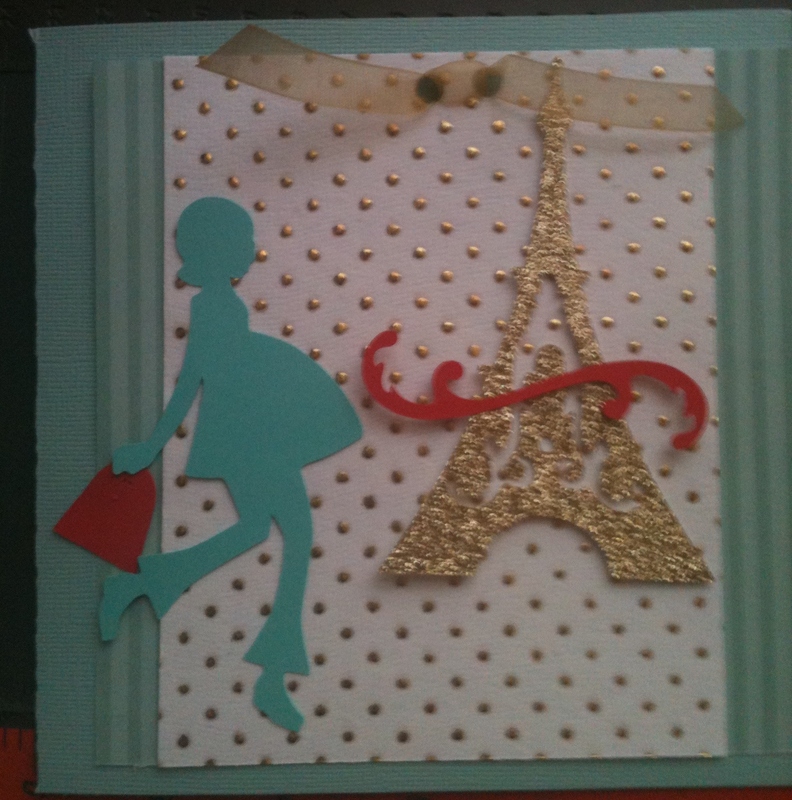 I cut the Eiffle Tower with my Cricut using the “French Manor” cartridge. 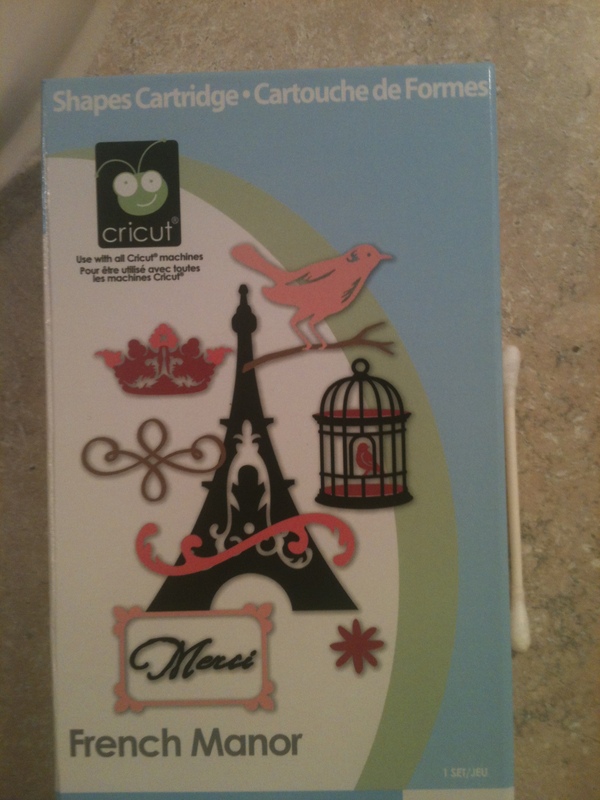 I cut the pregnant girl using the Cricut “New Arrival” cartridge. My daughter loves to shop so I included the shopping bag on the front of the invitation. She said it looks like she is shopping in Paris! I purchased all the paper at JoAnne’s. The colors for the nursery are mint, coral and gold. 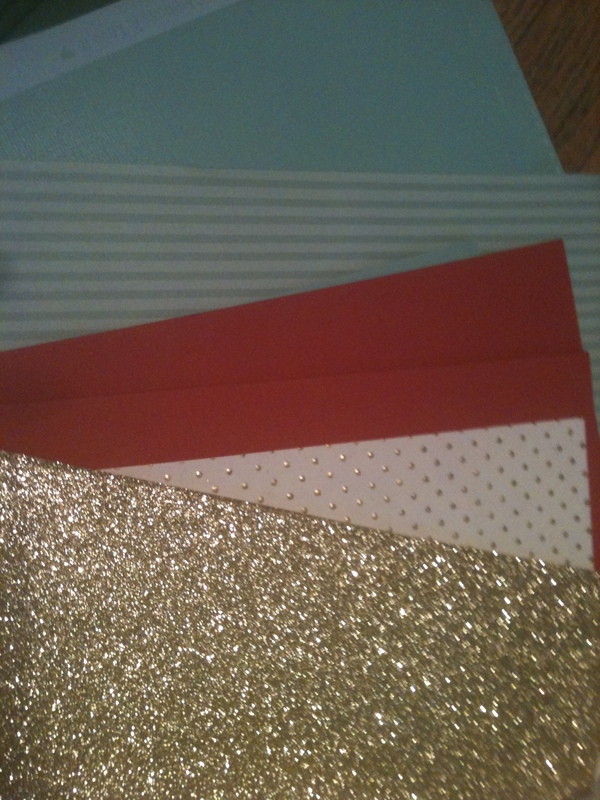 I used those same colors for the invitations. I made the card 6 x 6, but a word of caution on that one! If your envelope is over 6 1/8″ you will have to pay extra postage.